Panel holders are constructed of Aluminum. 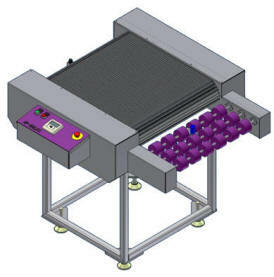 Panel Holder Conveyor is driven by DC Motor. Drive Rollers are driven by variable AC Motor.